Anchor (formerly Readicut/Homemakers) 6 ply rug wool in packs of 160 pieces. 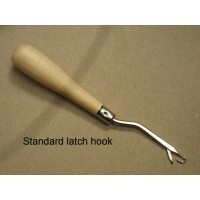 Latch hook for 3.3 holes per inch (hpi) canvas and Romney and Anchor rug wool. To view latch hooking instructions click here. 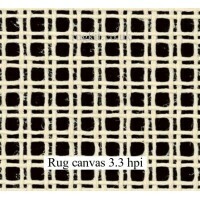 ..
Zweigart rug canvas 13 holes per 10cm (3.3hpi) 27"
68cm (27in) wide. 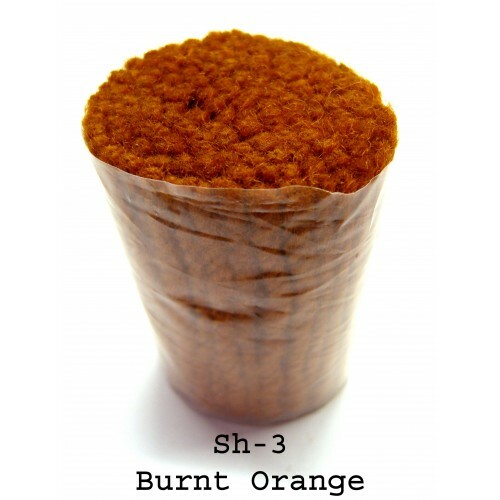 Price is per metre and more than 1 metre will be sent as one continuous length. 3.3 holes per inch (hpi). 91 holes between..
Zweigart rug canvas 13 holes per 10cm (3.3hpi) 40"
100cm (40in) wide. Price is per metre and more than 1 metre will be sent as one continuous length. 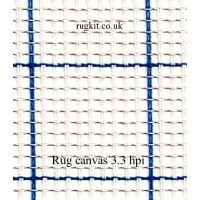 Double thread canvas, 3.3 holes per inch ..
Zweigart rug canvas 13 holes per 10cm (3.3hpi) 24"
60cm (24in) wide. Price is per metre and more than 1 metre will be sent as one continuous length. Double thread canvas, 3.3 holes per inch (..